I’ve never been a fan of liquid eyeliners on me. The traditional kind with a tiny brush at the end has always felt flimsy to me which has never let me control the line on the eyes. I don’t have the steadiest hands and prefer to line with a detail brush and a darker powder shadow or a pencil that I can blend easily. I’ve tested a few felt tip liquid liners in stores (on the hand) and found they either looked grey when they dried, had felt tips that looked mushed after use, or bled into crevices easily. I dismissed them for many years until I discovered Tom Ford’s Defining Eye Pen last year and it completely changed my outlook on liners. Since then I’ve been braver with the liquid liner application and have been able to test a few more. I don’t have a good tutorial on application but find it’s best when applied in short strokes (even if it’s messy) along the upper lash line and then built up for thickness and precision. I absolutely loved this Easy Winged Liner Technique video by MakeupbyTiffanyD which helped me tremendously as a liquid liner beginner. 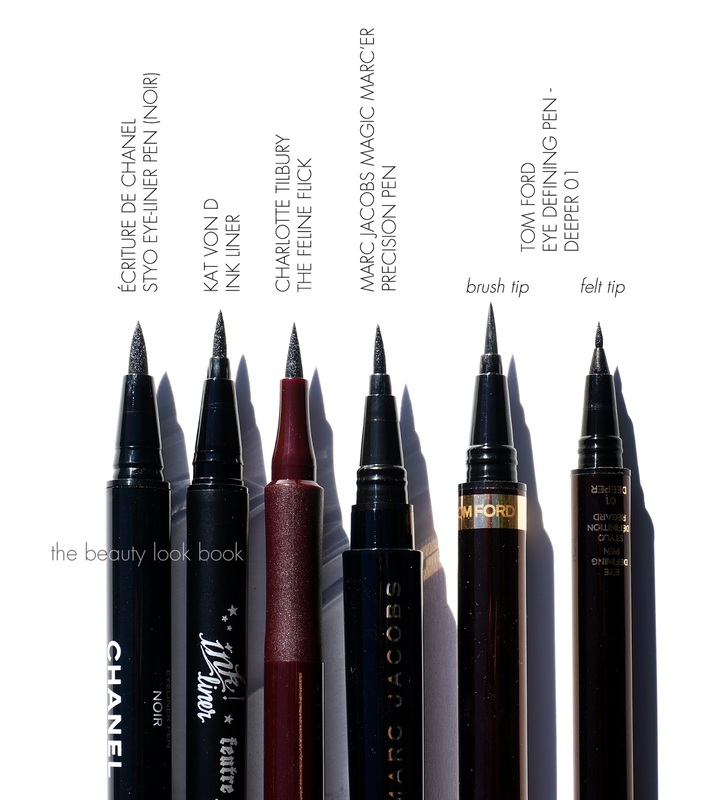 Chanel Écriture de Chanel Stylo Eye-Liner in Noir ($35) was the second liquid liner I purchased. 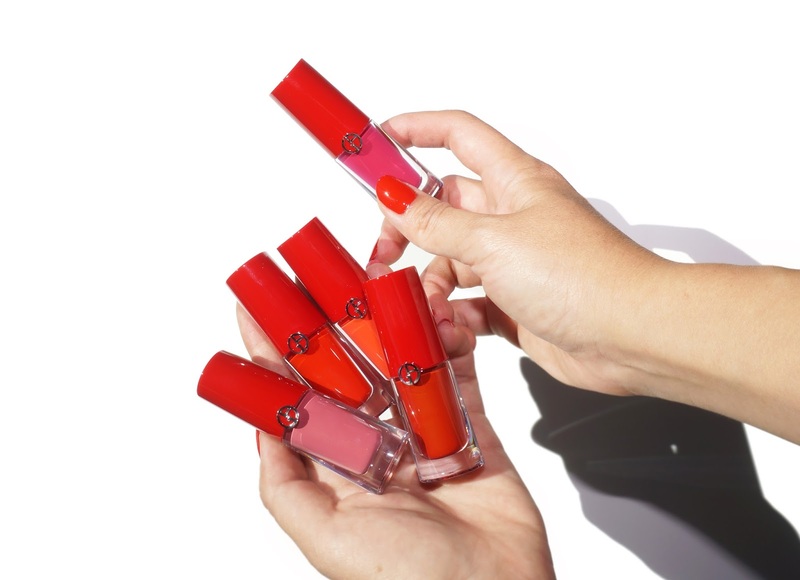 The artists at the Chanel counter raved about it when it came out with the fall collection. Noir is a true black but when you compare it to the other five I have, it’s not the deepest and looks slightly greyish. It has a felt tip and the cap has a slight spring inside when you close it, the packaging seals it completely so it doesn’t dry out. My initial thoughts on this were that it was a good liquid liner, but after comparing it to others, it’s just not as good. It takes a long time to dry, the tip isn’t quite as precise and just looks grayish once it does dry. Kat Von D Ink Liner in Trooper ($18) has made it into my top three picks. The Ink Liner comes with a felt tip while the Tattoo Liner comes with a brush tip. This one has a stiffer tip that is still slightly flexible. For me it creates a super precise line and is very easy to control. When testing which one would remove easily off my arm with a dual-phase eye makeup remover, this was the second longest lasting (next to Tom Ford). This one also has a spring insert in the cap which seals it completely once closed. I like that it’s very fluid and there’s no bleeding when you apply it. Marc Jacobs Magic Marc’er Precision Pen in Blacquer ($30) is one I had high hopes for based on the rave reviews. When I first tried it I did not like it. The felt tip was too soft for a precise line. After experimenting with it some more, I found it best when applied sideways or horizontally and then gliding it across the lids in short feathery strokes. It dries nicely to a true rich and glossy black but doesn’t smudge. It is a liner I find takes more time. When I’m in a rush, this one isn’t the best for me. Charlotte Tilbury The Feline Flick Quick Fine Line Shodõ Pen is something I purchased from the from the Rock Chic set on Charlotte Tilbury UK. 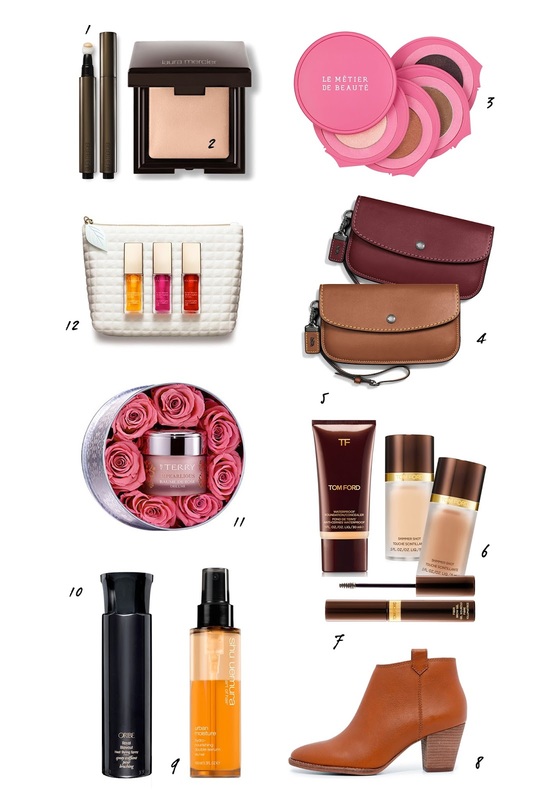 Now available in the US at Nordstrom, Net-a-Porter, Bergdorf Goodman and Beautylish. This one is quite amazing with a super precise line and glossy rich black finish. It stays put and sets quickly. I love that it is super easy to glide on for precise application. The stiffer tip makes it easier for me to apply versus one that bends easily. Huge thumbs up for this one. 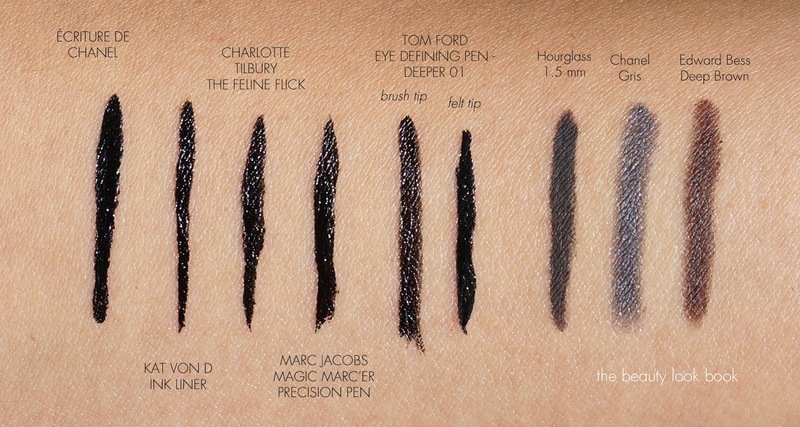 Tom Ford Eye Defining Pen in Deeper 01 ($55) is hands down the best liquid eye liner I’ve tried. It comes with two tips, one is a thicker brush, the other is a smaller felt tip. This one is super easy to apply. It gives a super dark black line and is the easiest for me to use (which is important since I’m not the best at applying liquid liners). It’s lasted almost a year for me without drying out and the tips have remained sharp. 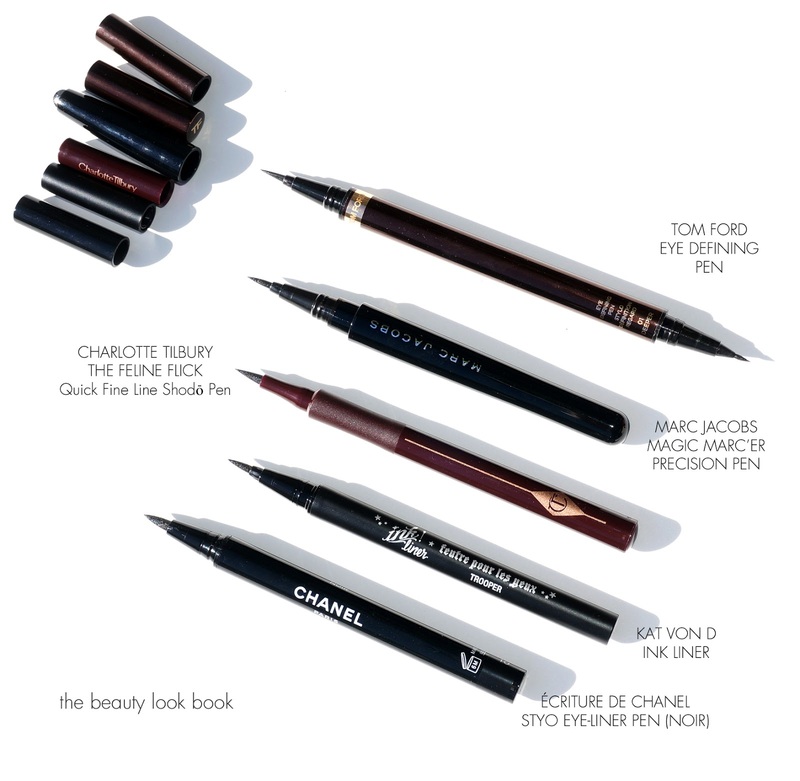 If I were pressed to pick just one, it would hands down be the Tom Ford Eye Defining Pen even though $55 for an eyeliner is quite ridiculous. It’s super easy to control for a lighter or deeper line. It also has two tip sizes for a fine or thick line. It glides on and doesn’t smudge and retains its lush dark glossy black color even when dried. 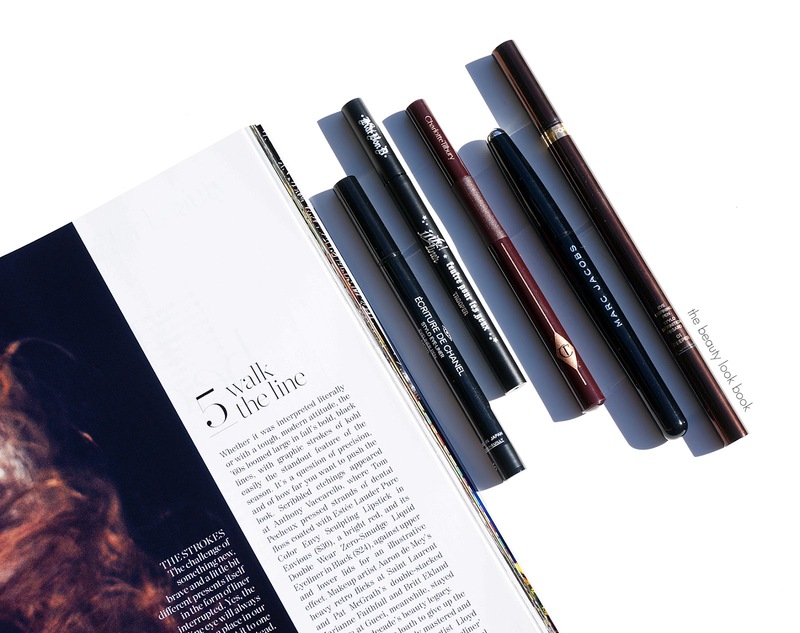 Are you a liquid liner fan? What are your favorites? The Marc Jacobs and Kat Von D eyeliners were provided courtesy of Sephora for review consideration. The others were purchased by me. More information in my Disclosures.